Wow, do you have to come so close?! Wait…come back – that was actually pretty cool. The standard diving schedule from the Avalon is 3 dives per day – all day time dives. Pretty low for a liveaboard. Some divers calculate the “cost per dive” when they look at the price of a package. Dividing the cost of the Avalon II by 15 dives comes up with a very expensive per dive cost. But the value of the experience – how do you tally that? I don’t think in this case, that formula works. The Gardens Of The Queen is a special place and has a lot to offer. But at least on day one, I didn’t see it. 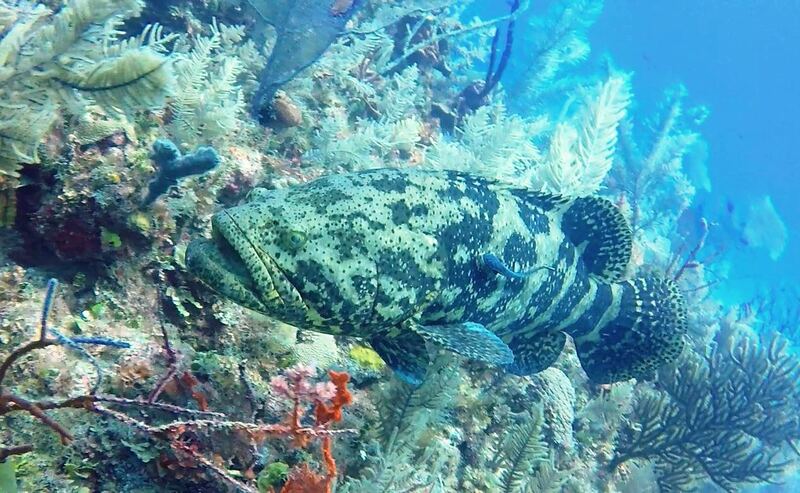 The Nassau Grouper, because there were many, they were large, up close and have some serious, um, cojones…I remember them. The coral reef, because there is so much of it, I remember that too. Other than that, today totaled 3 blurry whirlwind hours of sleek silver flashing before my eyes. In my face, swirling around, above, below, everywhere! I have seen sharks before on my dives. 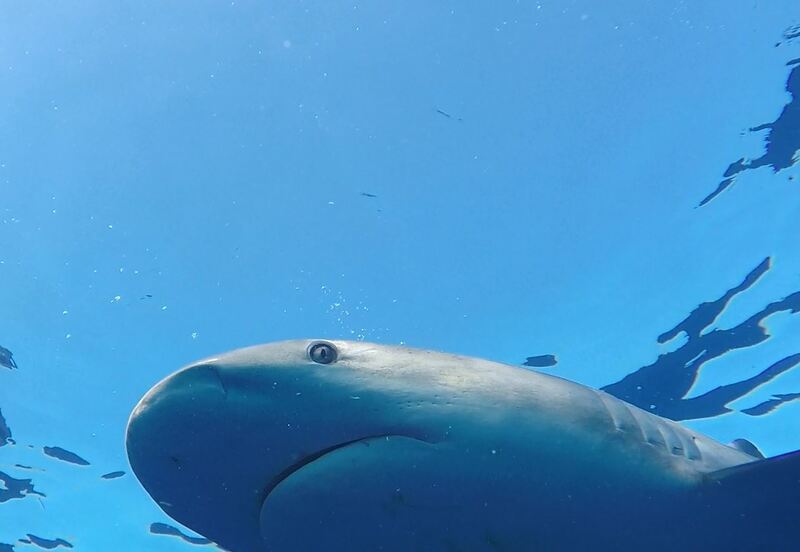 I have participated in the shark dive in Roatan. I have been blessed by the wonder of swimming alongside a whale shark. I was still in awe. If a group charter requests it, the Avalon crew won’t bait any of the dives the entire week. If you don’t request it, a typical week is a mix of baited and non-baited. Today’s first two dives were primarily baited and it was crazy! 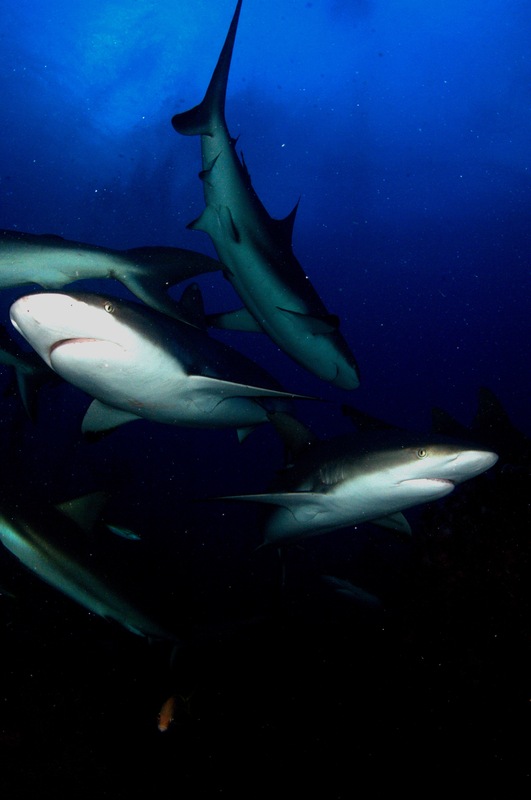 We had mainly Caribbean Reef Sharks but we had some Silkys in there too. We are talking somewhere between 25 – 30 around us at once. Some were focused on the bait box and stayed close to it. Others did not seem to care, swimming around in a circle around the outside of us as if they tagged along to see what all of the fuss was about. And then there were the few that I thought at times had come to specifically to dive with us. Calmly and evenly they swam between the divers, often so close I thought we were going to touch. Whether you wanted to get a silhouette shot, look beneath you and see them swimming along below or go eye to eye, it was all there. I do remember dive three being beautiful. This dive was not baited at all. We glided over fields and fields of corals, fans and sponges that never seemed to end. I know there were various fish, including larger schools, but the details simply aren’t there to catalog anything else but the sharks. 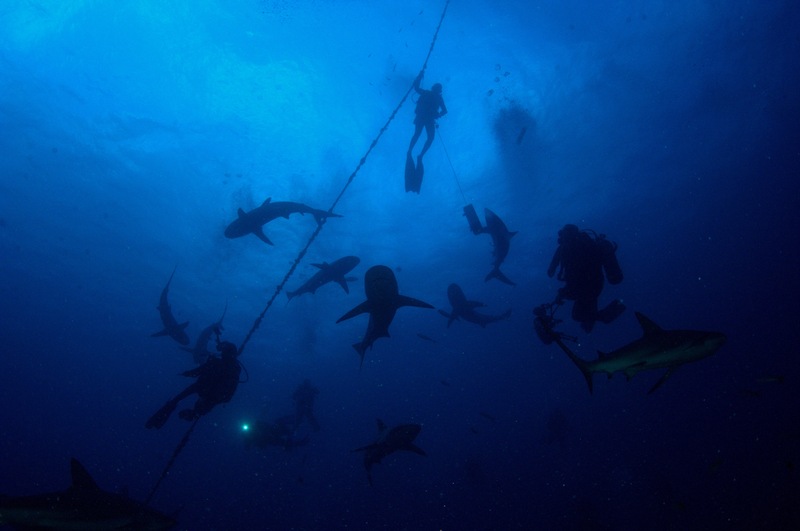 Without the bait, the numbers were not quite so staggering, but we were still joined by at least 6 sharks at any given time, up close, zigzagging in and out, sharing their time equally with us all. Our meals were excellent. Our service throughout the day impeccable. The company good. I can say there was definitely laughter and a general atmosphere of happiness. How could there not be?! But it is all I can give you for my first day. Because when I reach in my mind for details, to pinpoint a memory, all I see is silver. Smooth skin catching the sun and weaving a spell that renders me (yes me) speechless. PS a big thank you to Fausto De Nevi Herrer our Divemaster for Photos 1 and 3!